Today we took a long drive (about 1.5hr each way) to visit the Equator! It was really cool to be able to stand in both the Northern and Southern Hemisphere’s at the same time. Watch the video for a demonstration of how water flows differently depending on which hemisphere you are in. Although we have been having lots of fun and taking interesting trips the past few days, we have also been busy engaging in activities and discussions with Pharmacists and Pharmacy Interns at Mulago Hospital and Faculty and Students at Makerere University School of Pharmacy. For the students this is a Global Advanced Pharmacy Practice Experience but for me it is the start of a project to help Uganda improve and implement pharmaceutical care to their patients. The students prepared a talk on Pharmacy Practice in the United States and have presented it twice already and this has led to really rich discussions and comparisons between pharmacy practice and healthcare in Uganda to that in the U.S. We have all been impressed with the Ugandan student’s and pharmacy intern’s attentiveness and great questions. Currently the entry level degree for Ugandan pharmacists is a 4 year Bachelors of Pharmacy degree as compared to the 6 year Doctor of Pharmacy degree in the U.S. We have learned about their curriculum and although it does contain curriculum to teach therapeutics (the treatment of diseases) and pharmaceutical care, it focuses more on the basic sciences, research, and preparation of pharmacists to practice in Industry, as well as community and hospital pharmacy. It is really impressive that all of their graduates have to conduct original research as a requirement of their degree! We heard a little bit about some of their projects and were amazed. One student was testing a local plant’s effectiveness against Neisseria gonhorrea, one actually radio-labeled bromocriptine with Technicium and injected it into rats to see if it would go to the brain to potentially be used as a diagnostic, and one student assayed the nuclear medications prepared in Mulago Hospital to determine radiochemical purity. Many of the Pharmacy Interns and the graduate students expressed an interest in coming to the U.S. to participate in higher experiential learning, such as completing a residency. Unfortunately there are not enough residencies to go around for the U.S. students that want to participate and also candidates for residency usually need to be qualified and licensed as a pharmacist- which in the U.S. means they need a Doctor of Pharmacy degree. Maybe something “out of the box” could be worked out. I will definitely be exploring this when I return. 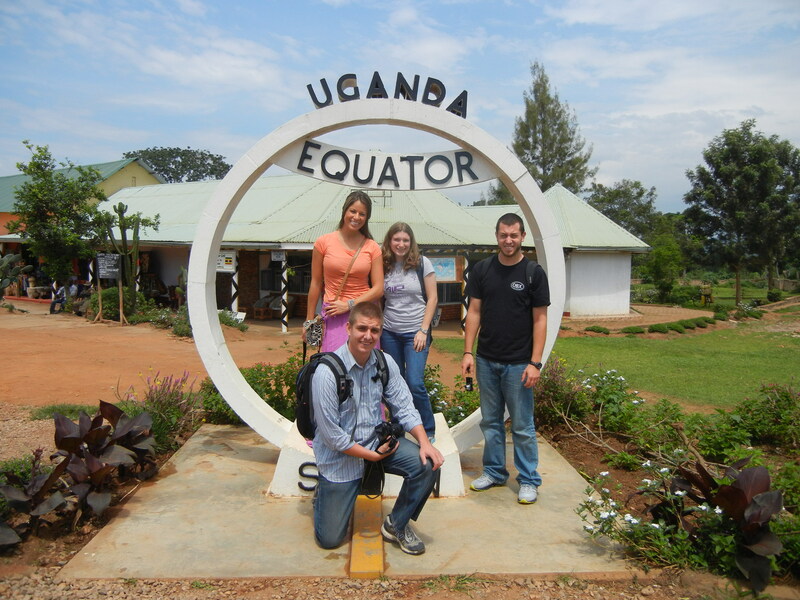 This entry was posted in Uncategorized and tagged Equator, international pharmacy, makerere university, medicine, Mulago Hospital, pharmacy practice, research, science, travel, Uganda, water flow at equator. Bookmark the permalink.